Cookie Jar Brownie - Caught with your hand in the cookie jar!? Not a bad place to be with our newest fudgy brownie! 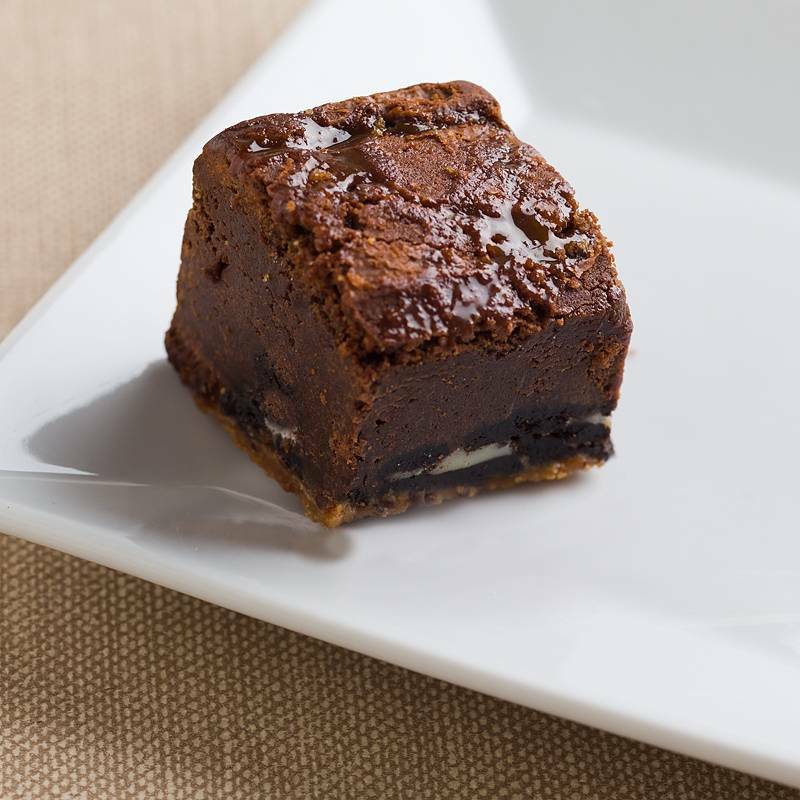 This layered treat begins with a chocolate chip cookie on the bottom, layered with a chocolate sandwich cookie, and topped with our classic rich brownie swirled with caramel!